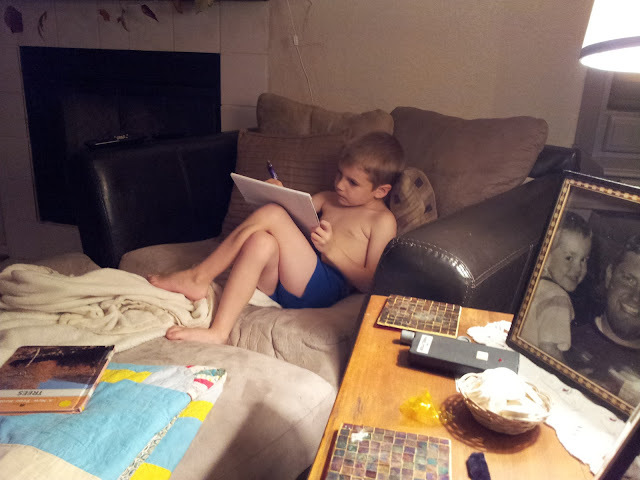 I just love happening upon my children and catching them "in their element," completely engrossed in the task at hand. Alec was writing a story about monsters. He didn't quite finish it because we had to get ready for school, but believe you me, we'll make time for him to! If you're inspired to do the same, leave a link in your comment to your moment.